Students are expected to behave in class. Students will be asked to not participate in class if they are disruptive. Please practice respect, students are not to be socializing in a disruptive manner during the class with other students,please come early or stay late to enjoy friends in the waiting area. Please honour your teacher and fellow students by giving full attention and co-operation. You will be advised if we feel any student is not well adjusted to the classroom environment. Therefore there will be times that the teacher will make hands-on corrections. Regularly attending class is important in the development of the student, parents or students should inform the teacher if they will be missing class. Students may make up the class in another age appropriate and teacher approved class. No credits or refunds will be given for missed classes. 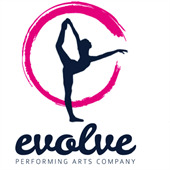 Evolve Performing Arts Company is not responsible for your child before or after class. Dance class is educational and fun, however, an important part of class work is developing an attitude of discipline and respect for teachers and fellow students. We trust that following our classroom etiquette will provide an environment whereby classes at Evolve PAC will be a pleasure. There will be a non-refundable $20 enrolment fee charged at time of enrolment. Evolve PAC reserves the right to cancel any class with insufficient enrolments and a full refund will be given. I have read the 2019 Information pack and understand what is required from myself and my child/ren throughout our time at Evolve Performing Arts Company including payment conditions. I understand that all fees are non refundable. I understand that costume deposits are to be paid throughout the year and i will not receive my costumes until fees and costumes are paid in full. I acknowledge that there is street parking only if there are no vacancies in Evolves designated parking spots. I hereby release, indemnify and hold harmless Evolve Performing Arts Company its owners, members, advisers, Board of Directors, employees and agents of these parties from all liabilities, suits, claims. and/or demands of any kind or nature, legal or financial, whether caused in any way by the negligence or not, arising from the participation in or observation of any Evolve Performing Arts Company activity for injuries to any person or property, whether on or off the premises. The student/participant named above does voluntarily participate in any and all Evolve Performing Arts Company activities and that the student/participant and I understand that certain risks are inherent to and from participation and involvement with Evolve Performing Arts Company and in its various formal and informal activities. Evolve Performing Arts Company is not responsible for any lost or stolen property, at any time. If anyone is found to be violating any of the rules, codes of conduct, or found to be disruptive to either another individual or group may be asked to leave the premises or off-site location at any time and be refused re-entrance without any full or partial refund. As the parent/legal guardian of the student/participant named above, I request and authorize that in my absence the student/participant named below be admitted to any hospital or medical facility for diagnosis and treatment. I request and authorize physicians, dentists, and staff, duly licensed as Doctors of Medicine/Osteopathy or Doctors of Dentistry or other such licensed technicians or nurses, to perform any diagnostic procedures, treatment procedures, operative procedures and x-ray treatment of the student/participant named below. I have not been given any guarantee as to the results of examination or treatment. I hereby authorize Evolve Performing Arts Company, its owners, members, Board of Directors, and all employees and agents of these parties to act for the student/participant named below according to their best judgement in providing or arranging for emergency care in any emergency circumstance requiring medical attention. I authorize the hospital, medical or care facility to dispose of any specimen or tissue during the course of any diagnosis, treatment or other normal and customary procedures. Just like any business, our success depends on our ability to promote ourselves. We will not use children's names with any photographs unless we ask you first. We are asking now for your permission to use your photographs to help promote our business. The second half states that if your photograph is used for a commercially available product, you can get a printed copy of whatever is was they used it for and a complimentary digital file of the same image. Now on to the legalese . . .
As the parent or legal guardian of child or children named above, I hereby give permission for Evolve Performing Arts Company, its assigns, licensees and legal representatives the right to use my image, likeness, picture, portrait or photograph and those of the children named below for the purpose of display, portfolio, advertising, website, or publication to promote the business without compensation to myself or my heirs. Individual images may be subject to exclusion by written notification to Evolve Performing Arts Company. I have read the above authorization, release and agreement, prior to its execution; I fully understand the contents thereof. This agreement shall be binding upon me and my heirs, legal representatives and assigns. Additionally, As the parent or legal guardian of children named above, I hereby give permission for Evolve Performing Arts Company, its assigns, licensees and legal representatives the right to use my image, likeness, picture, portrait or photograph and those of the children named below in all forms of media, including electronic media and/or composite representations, for advertising, trade, photographic contests or any lawful purposes and I waive any right to inspect or approve the finished product, including written copy that may be created in connection therewith. In consideration of this permission, in the event of a released image being used in a for-profit, commercially available print or digital publication, you may request a complimentary copy of that publication (if printed, and up to a value of $50) as well as the full resolution digital file of the published image.